London based design label Ally Capellino have collaborated with Bergen's Norwegian Rain to produce a new backpack. Using Norwegian Rain’s signature high-tech PET recycled fabric from Japan, and with sealed seams and waterproof zips, Ally Capellino have arrived at a design that compliments the ethos of both brands; waterproof, lightweight, Mac compatible and with Italian bridle leather straps and trims, this collaboration is a suitably cool classic. Ally Capellino is famous for making satchels, totes and rucksacks for men and women who like their design to come without dictates. A renegade from the outset, founder Alison Lloyd’s debut collection of T-shirts sent up the 1980 Moscow Olympics scandal. After heading up young British design during that decade, her characterful classics have since brought her label international acclaim and cult status among like-minded customers. And as for our fellow citizens, Norwegian Rain is a label that emerged as a solution to the life in the rainiest city of Europe, Bergen. The project was founded by bespoke tailor/designer T-Michael and economist and functionalist, Alexander Helle. Their wish is to create harmony between contradictions, while keeping the hi-tech hidden. 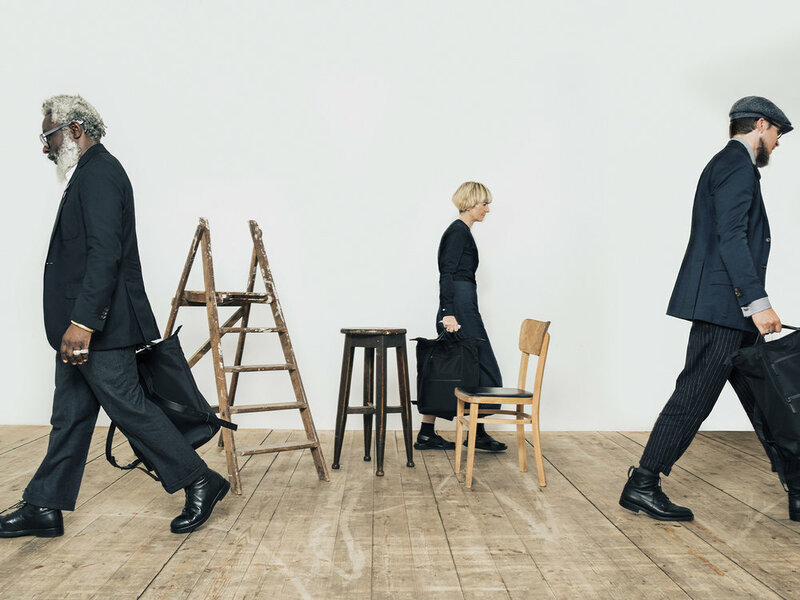 Their bridge between tradition and innovation, tailoring and hi-tech, classic and experimental, and function and style, has made Norwegian Rain a sought after brand, now available in 19 countries around the world.